Drawn together again for more artistic shenanigans—and cheese! • a pair of pants! The problem is, there’s just one box—and Scribbles and Ink both want it! Which of the battling buddies will out-box the other? Or will their friendship rip apart like so much corrugated cardboard? 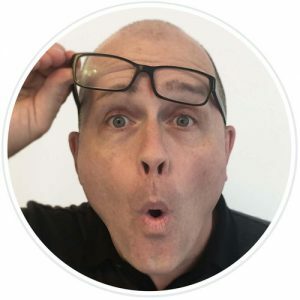 Inspiring both artistic creativity and independent reading, Out of the Box is the second Scribbles and Ink book in the Jump-into-Chapters series. The longer story with a simple text, vivid characters, and lots of action is ideal for kids who are ready for more than a picture book. Cardboard boxes may never seem dull again. Back from their last high-energy artistic adventure (The Contest, 2013), best friends Scribbles and Ink go to town with imaginative play, fighting and reconciling along the way. Ink, a mouse, places an online order. His package arrives moments later (thanks to “super speedy express delivery”) in a plain, brown, cardboard box. Ink wants only the cheese inside; Scribbles, a cat uninterested in cheese, politely requests the box itself. 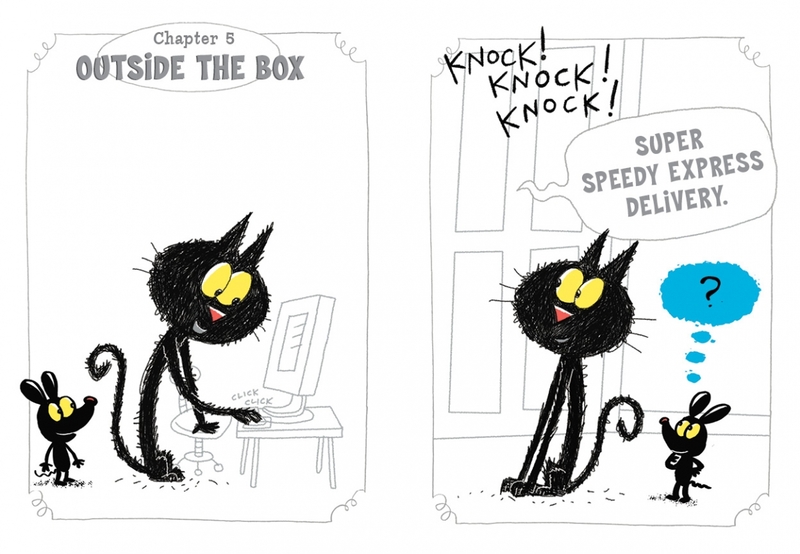 In Scribbles’ mind, the box could be anything from a sandbox or box kite (hee) to the Boxistar Galacticat. Fashioning the box into a pair of overalls, he models them for Ink, who feels a sudden burning need to try them on. Possessiveness and rivalry creep in; Ink employs some antagonistic cartoon physics—painting a hole on the floor, into which Scribbles falls—and a tug of war for the box rips it plumb in half. Of course they make up, and a “box-tastic…box-i-licious” feast ensues. 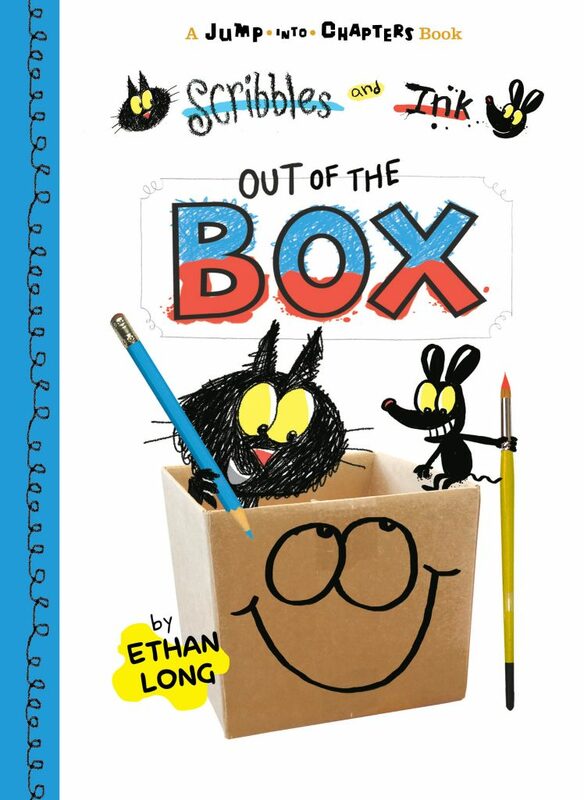 The real star here is the box, which, whether plain or decorated or ripped or transformed, stands out as a rivetingly realistic photograph in a world that—except for Scribbles’ pencils and Ink’s brush—is otherwise entirely drawn and painted. Corrugated cardboard has never looked so alluring. The perfect choice for after a move or whenever boxes are handy.